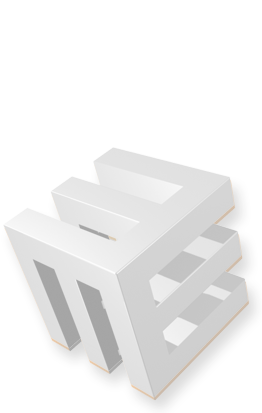 EZGenerator Podcast page represents a tool for uploading, managing and publishing of your multimedia files. Podcasting is the method of distributing multimedia files, such as audio programs or music videos, over the Internet using either the RSS or Atom syndication formats, for playback on mobile devices and personal computers. The term podcast, like radio, can mean both the content and the method of delivery. More info on the topic at Wikipedia and Podcasting Tools. Before you start setting your Podcast page, we recommend you to get well acquainted with the podcast as a concept. This help material covers only the process of setting your Podcast page inside EZGenerator. Press Live (Php) button in Insert page section and select Podcast page. Select preferred layout preset. Podcast page has a few predefined layout presets. With Podcast page you can upload media files, organize media files in podcast, and publish the podcast using RSS feed. You can upload media files through EZGenerator (using Uploads tab in Podcast Settings panel), or online - using the administrator panel. The organizing of media files in Podcast is very similar to adding entries in a blog page. Here, instead of blog entries you post podcasts or episodes. Each episode is defined with title, description, some other optional characteristics and multimedia file. Similar to blog entries, the episodes are organized in categories and presented in reverse chronological order, so that your podcast visitors can browse, listen, download or subscribe (using the RSS feed). RSS feed is a tool that helps you share your podcast content with the world. RSS stands for "Really Simple Syndication," and its purpose is to tell the podcasts directories and other podcatchers, like iTunes, how to find and get your podcast. An RSS feed also lets people subscribe to your podcast and automatically get updates of your new content. For properly working podcast, pay special attention to the RSS settings in Podcast Settings (see below). You can preview your Podcast page only when uploaded on a PHP enabled server. To test this functionality offline you can Install your own test server on your PC. Similar to the other php special page types, Podcast page layout is designed of objects. Generally, the podcast page consists of some or all of the following objects: podcast object, month archive, recent episodes, recent comments, podcast search, category list, category drop-down menu and link to administrator. You can keep all or some of them in your podcast page. Each of these objects represents different element of your podcast. With Podcast objects you can design your podcast frontpage the way you like it. You remove/add objects, but also change object position on the page. Podcast object is the only required object and lists your podcast episodes. Podcast archive builds month archive. Podcast recent episodes and podcast recent comments display the most recent episodes/comments in short (as a link). Podcast search object builds search box for visitors to easily find certain post. With Category drop-down menu and Category list visitors can browse podcasts by category. Link to administrator screen will lead you to the administrator screen, where you (the podcast owner) can manage episodes and comments. Visitors can review podcasts and make comments on them, but only the podcast owner can manage the podcasts, including creating episodes. Note that for better security EZGenerator Podcast page supports CAPTCHA in the Post comment form. Podcast episodes are listed on podcast frontpage chronologically. Normally each podcast is represented with date header, title, description, media file, few more optional characteristics included and footer. Footer consists of "posted by" info, "date and time of creation", "permalink", "comments" link, if enabled, and "category" link. These are called object parameters. Permalink is the permanent url of a specific podcast episode. As podcast content changes regularly, visitors need to know the permanent url of an episode they like. Comments link shows the number of comments posted and opens post comment form. Comments link is visible only if comments are enabled (see below). Categories link will list all podcasts for the specified category. With these parameters you define what information to show for each podcast episode. You add and remove parameters in %PODCAST_OBJECT(...)%, within the brackets. When you first visit your podcast page and none episodes are posted yet, podcast definition from Wikipedia will be displayed as default. Once you post some podcasts, the default text will disappear. This page can use either MySQL or flat files database (depending on the MySQL switch in MySQL Settings). All podcasts posts and comments will be stored in a MySQL database or on the web server in flat files in ezg_data/ folder. You can add multiple podcast pages in your project, and each one will have its own database. You can re-order the podcast objects, as explained above. You can translate podcast language strings, using Podcast Settings panel >> Labels. The following properties are available in the Podcast Settings panel. Make sure to configure these settings. Send Notification to (editbox) - Type here the administrator email address. All notification emails when comment/trackback is posted will be sent to this email address. On Frontpage (drop-down menu button) - You can choose here to display Excerpt (if available) and Content. Limit Posts (drop-down menu) - Sets the maximum number of episodes to be displayed in the podcast front page. Recent Posts (drop-down menu) - Sets the maximum number of episodes to be displayed in the Recent Episodes sidebar. Recent Comments (drop-down menu) - Sets the maximum number of comments to be displayed in the Recent Comments sidebar. Limit Lines (drop-down menu) - Sets the maximum number of lines to be displayed for each episode in your podcast. Uncheck the box if you don't want to set such limitation. Labels (button and editable listbox) - Sets the podcast labels. You can translate the default labels in your preferred language. Use Default settings button to restore the default settings. Reversed Posts (check box) - Check this box if you want to show old posts first on the front page. Otherwise newest posts are shown first. Enable Comments (check box) - Check this box in case you allow visitors of posting comments on your podcast episodes. Forbid url's (check box) - Check this box if you want to forbid users to include url's in the comment body. Require Approval (checkbox) - Check this box if you want to approve comments before they show on podcast. In RSS feed (drop-down menu) - You can choose here which content to use in RSS item description - Excerpt or Content. Limit Posts (drop-down menu) - Sets the maximum number of items (episodes) to be generated in the RSS feed. Limit Lines (drop-down menu) - Sets the maximum number of lines to be displayed for each item (episode) in the podcast RSS feed item description tag. Use HTML formatting in description (check box) - Check it if you want to leave the HTML formatting in the RSS feed (Description tag). Scale Image (max width) (check box and number selection box) - Check it if you want include scaled image in RSS item description (applicable for the image inserted with Upload File option in Write Podcast form). Offline Media (drop-down menu) - Use the Add button to add media files you need to transfer to server with next upload. When later you define podcast episodes, you can use these already uploaded files. Use this option especially for large media files, that can't be uploaded online (through 'Post new episode' administrator screen). RSS feed button - This object generates link to podcast RSS feed (see below). Administrator - This object generates link to podcast administrator panel. Podcast MP3 player - This object generates Flash player to play your podcast entries. You can select from a list of players here. Note that only the Advanced Player works with MP3, MP4, SWF and FLV files. All other players will play MP3 files only. FLV is native video format and will be streamed by the player. SWF is animation and can also be used as video, but SWF file needs to be fully downloaded before it can start play (no streaming supported). In case you want to make custom design for your podcast home link, insert your custom hyperlink and use %PODCAST_HOME_URL% as url. %download% - will insert link to the episode (for download). Use %downloadurl% as url if you insert your custom download hyperlink. %listen% - will insert link to the episode (for listen). Use %listenurl% as url if you insert your custom listen hyperlink. permalink - will insert episode permalink. Use http://www.ezgenerator.com/ihelp/help.php?entry_id=1362139350&title=podcast-page as url if you insert custom permalink hyperlink. - will insert episode comments link. Use http://www.ezgenerator.com/ihelp/help.php?entry_id=1362139350&title=podcast-page as url if you insert your custom comments hyperlink. - will insert post comments link. Use as url if you insert your custom trackbacks hyperlink. If you want to use EZGenerator media object or audio player to play the media file, insert the media object or player and type %listenurl% as file url. Normally, recent episodes object lists all recent episodes with title link, date and (::) as bullet. Using few parameters you can customize this layout. The parameters you can use are: %title%, %date% and %item_url%. If you use Upload File field to attach image, when writing posts, and want to include the image thumbnail inside recent posts bar, use %image[100,80]% parameter. 100 and 80 are sample witdh and height and you can change these. As explained above, the RSS feed is crucial for promoting your podcast to the world and thus it is essential to be properly configured. RSS makes use of an XML code that scans the content of your podcast for updates and then broadcasts those updates to all subscribers through a feed. EZGenerator podcast page generates RSS 2.0 feed. The feed also supports the special iTunes tags. Set the RSS settings in Podcast Settings panel, Main tab. The RSS feed has two level settings - channel and item. The RSS settings window covers the channel level settings, while RSS item level settings are taken from the podcast episode data, defined in the administrator screen. There are three required channel level elements - Title, Description and Language. Note, that these three elements represent your podcast and it is very important to set them properly. All other elements are optional. Please, before setting RSS elements, read the RSS Specification for detailed explanations on each. The elements marked with (iTunes) are special tags that iTunes uses when reading your feed. If you want your feed to be iTunes compatible, you should also set the iTunes elements. For detailed explanations on each iTunes element, read Podcasting and iTunes: Technical Specification. Now, if a visitor is interested in your podcast and wants to be informed when updates are available, he can use the RSS button to get the RSS feed, and pass it to the RSS podcatcher he uses - for example, iTunes or Juice. In the Administrator panel you can manage your Podcast - review, add, edit and delete podcast episodes, edit and delete comments. Administrator panel is accessible through the Administrator link (placed on the Podcast page) or via Administration panel. Go to Editing Tools >> Macros Fields panel. Drag-and-drop administrator field in your Podcast page. Select Write podcast from the navigation bar. Choose Category for the podcast episode. Define Tags (keywords), separated with comma. These are used as keywords and as tags when building tags cloud. Define Media file. You can either select media file from the already uploaded, or upload one. For large files, it is recommended to use the Podcast Uploads tab in Podcast Settings panel. Set the Explicit element. This element should be used to indicate whether or not your podcast contains explicit material. Check the block element, only if you need to prevent that episode from appearing in the iTunes Podcast directory. Use Upload File field if you need to assign an image to the episode (if activated). Use Publish Date field only in case you want to set creation date and time different from the current date and time. Note: Only fields marked with * are required. For detailed explanations on each episode element, read RSS Specification and Podcasting and iTunes: Technical Specification. Use manage podcasts screen to review/edit/delete podcast episodes. Use comments screen to review/edit/delete comments, posted by visitors, and to approve them. Use Youtube own Player - check this option if you want to use youtube player when playing media on podcast front page instead of EZGenerator built-in flash player. Permalink- with this option you can change posts permalink urls (only available on Linux servers).